Fluid, elegant lines elongate the curved silhouette of the Naiad table lamp. The hand-blown masterpiece forms rippling melted waves across the surface of the base. Due to the craftmanship of the piece, every piece is completely individual. The elaborate design is available in a variety of coloured finishes to complement the sophisticated glass form. 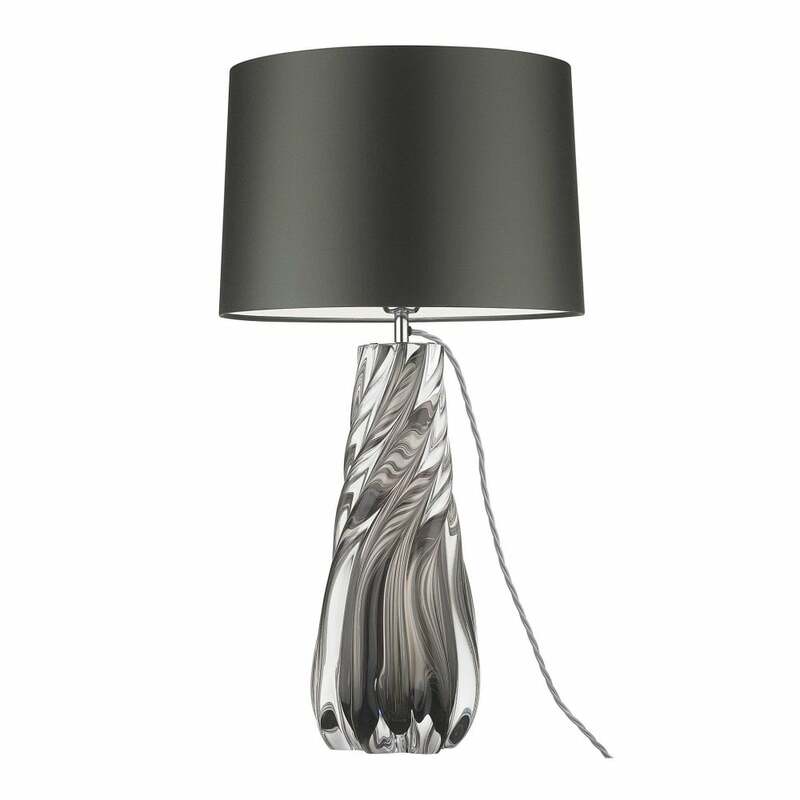 For a crisp, calming addition to your interior; style the translucent glass base with a cream brushed satin shade. If you are looking for more of a statement piece, the velvet blue base combined with a deep carbonne satin shade creates a vibrant, striking effect. Priced for 14" Roman Drum shade in silk with white PVC lining. Please contact us for other options.